Happy Monday everyone! It was an exciting weekend for Santiago fans who were able to attend Comic Con on Saturday. 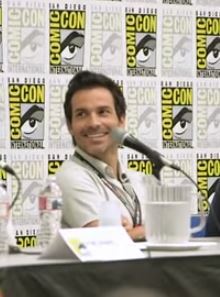 The cast of Salvation appeared at Comic Con in San Diego on Saturday. 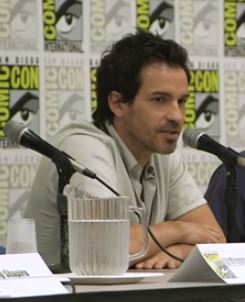 The shows creators were joined by Santiago Cabrera, Charlie Rowe and Ian Anthony Dale to form the Salvation panel. The panel discussed the show, how it began, character motivation, science fact or fiction and other topics. Santiago looked fine as always. He was in good spirits and even cracked a couple of jokes. I have noticed he sometimes seems shy in interview but not on Saturday. He seemed relaxed and engaged. Watch the session below. Enjoy! Acabo de terminar de ver las aventuras de Merlín y me quede facinada con este talentoso hombre… Y Mori de amor cuando Googleando me doy cuenta que compartimos apellido. Desde Argentina te mando un abrazo enorme te llevas todo mi amor y mi admiración.